We’re witnessing a new age of personal mobility based not on the car as a product, but on Mobility-as-a-Service. Responding to this requires some fundamental shifts in the way the industry works. John is a partner in EY Strategy services, focusing on innovation and mobility. He is also the EY Global Future of Mobility Leader within the Automotive and Transportation Sector. When joining EY in 2015, John brought extensive industry experience in strategy, retail and consulting within the automotive, financial services, government and oil sectors. A speaker at a number of conferences and industry associations, John has been an invited advisor to the British Prime Minister’s office. He has particular knowledge of the mobility arena and a deep understanding of customer and behavioral economics through both primary research and extensive knowledge of the academic literature. 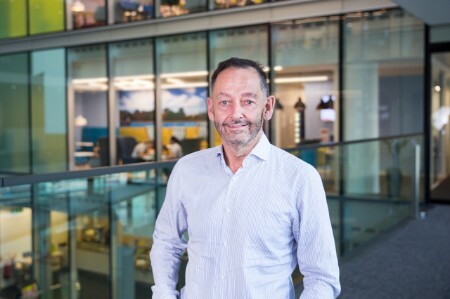 John has been heavily involved in advising on a wide range of strategy issues for car manufacturers, ranging from operational efficiency, pricing strategy through e-commerce market entry strategy, customer satisfaction studies, network and representative strategy, to block exemption for selective and exclusive distribution and franchising. Collaboration is increasingly the name of the game, because the winners of the future will not be the companies that make the best things, but those that provide their customers with the best and most relevant services. John is dedicated to being at the forefront of collaborative innovation as he helps organizations, cities and other stakeholders set themselves up to succeed in the future of mobility.